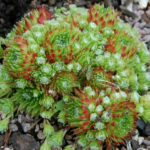 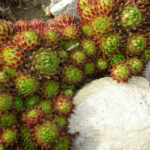 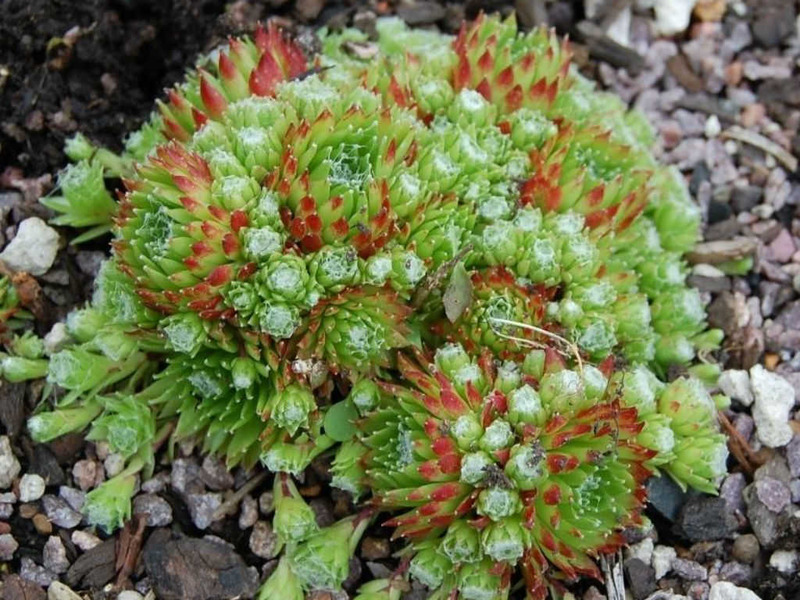 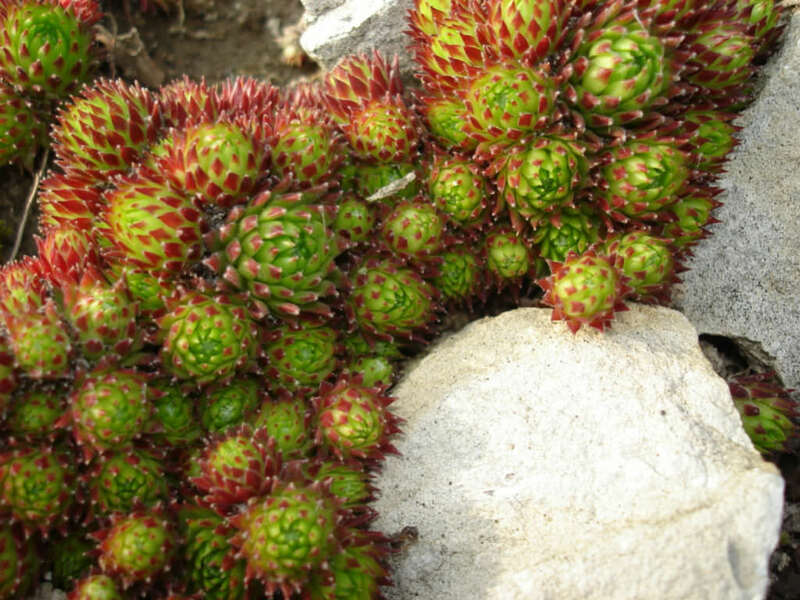 Sempervivum barbulatum ‘Hookeri’ is a succulent perennial up to 1.6 inches (4 cm) tall that form small colonies of pale green, pear-shaped, red-tinged rosettes with tiny offsets, all nicely cob-webbed. 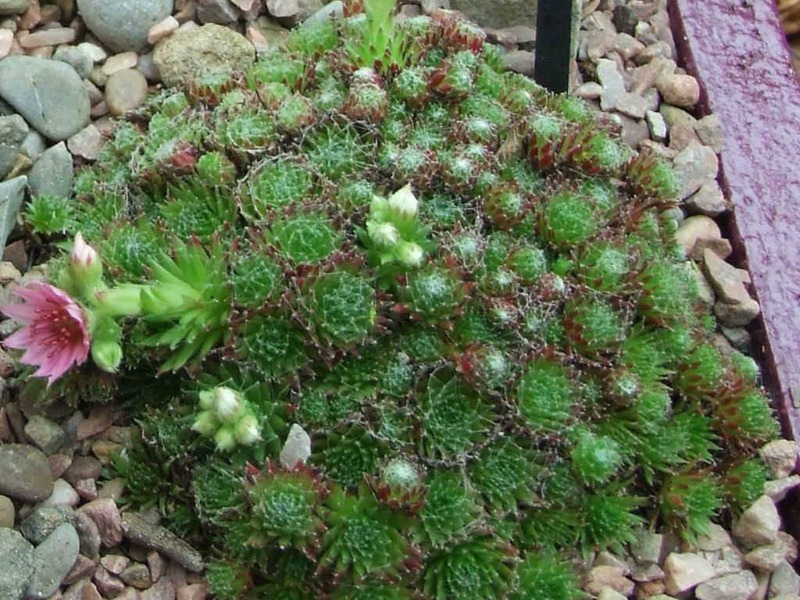 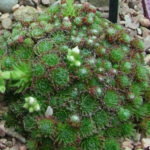 The small rosettes are up to 1.2 inches (3 cm) in diameter. 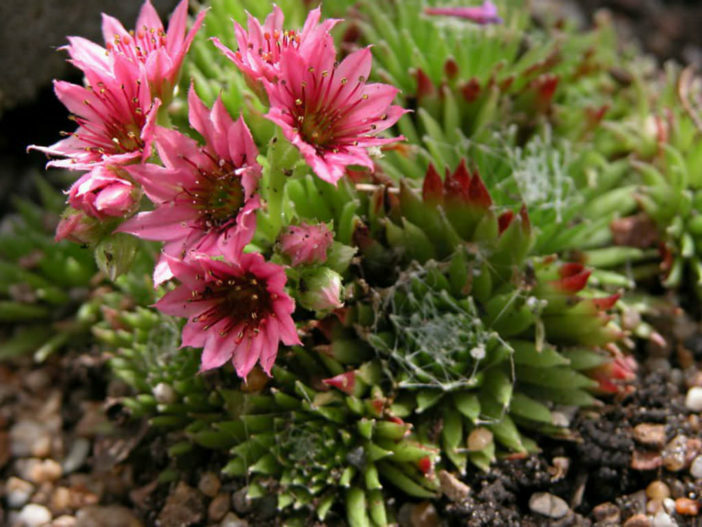 It produces heads of pink flowers in summer on up to 3 inches (7.5 cm) long stems.